Thinking about getting a tattoo? You're on the right spot, here you can learn all about tattoos & body art and find lots of free tattoo designs & pictures. This website helps you to find inspiration for your next design. It also helps you research the tattoo designs you might have in mind. We have a look at all major aspects of tattoo art, and lots of tattoo pictures can be found here. Read articles about your particular tattoo idea thoroughly, so you can be sure that the design you are getting doesn't have a meaning you are not comfortable with. Getting a tattoo is more than browsing through some tattoo flash. Be prepared before you go to the tattoo shop. Tribal tattoos were hip and trendy in the 90s, but then everybody started getting one and it became a bit ordinary. That doesn't mean a well-done tribal tattoo can't be great-looking. Tribal tattoo designs come in numerous different forms, like butterflies, the sun, the moon, bears, claws, star tattoos and a lot of abstract art. Celtic Tattoos: think of Celtic knots, crosses or spirals – or, more often than not, an intricate combination of several of these symbols. Celtic tattoos are definitely one of the most attractive types of tattoo out there today. Popular are the Celtic cross, butterfly, tree of life and the shamrock. Japanese or Chinese tattoos and tattoos that incorporate other Asian art or symbols are a great choice for a tasteful tattoo. 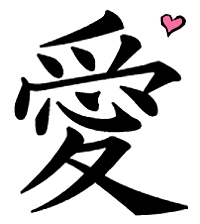 Dragons and Chinese characters are popular. Be sure you understand the symbols you are getting tattooed! Polynesian tattoos are an ancient art that has been receiving a lot of attention in modern times. 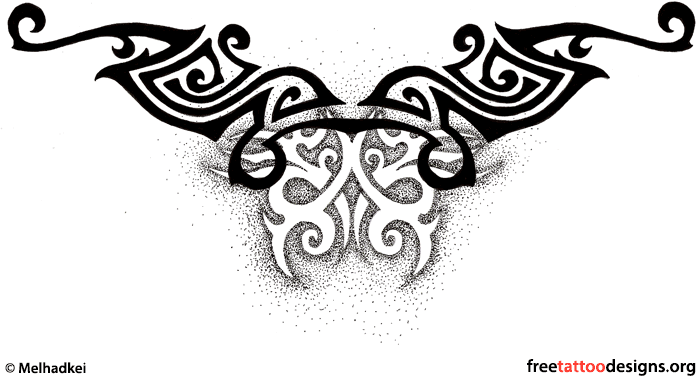 Hawaiian and Maori tattoo designs and patterns are very popular nowadays. Feminine tattoos are usually more delicate designs compared to tattoos for men. Have a look at the most popular female tattoos (such as butterfly, flower and star tattoos. Oh yes, let's not forget lower back tattoos) and be inspired by our tattoo ideas for girls and women. Don't forget to visit our female tattoo gallery. Zodiac tattoos are the new hype at the moment, especially Pisces, Libra, Aquarius, Capricorn and Gemini tattoos. Horoscope tattoos always had a certain popularity, but the last couple of months it went out of proportion, just like we had the tribal tattoo hype a couple of years ago (which is still kind of busy). Zodiac tattoos can take you in all kinds of directions; you have the symbols, but also the things they represent. On top of that there's also the Chinese zodiac. Star tattoos: usually small designs, popular male as well as female art. Check out our star tattoo ideas. Butterfly tattoos: often very feminine tattoo designs. Popular is the tribal butterfly tattoo. Fairy tattoos: typical female as well, fairy tattoos blend well with moon, flower and butterfly designs. Flower tattoos: natural beauty makes good tattoo art. Most popular are cherry blossom, Hawaiian flower, lotus flower, tribal flower and rose tattoos. Dragon tattoos: beautiful mythological creature, great for tattoo designs. The tribal dragon, as well as the Chinese dragon tattoo are in vogue. Cross tattoos: not necessarily religious in nature, Christian and Celtic cross tattoos are favorites. Angel tattoos: having an angel tattoo is like having your guardian angel with you all the time. Angel wing tattoos are a favorite as well. Skull tattoos: old school is hot nowadays, and so are skull tattoos. Retro designs are often cool tattoos and a good tattoo idea in my opinion. Heart tattoos: heart and love tattoos can be cool, but please don't add someone's name to it, you might regret that some day. The next section of the website is about what you can do to prevent tattoo infections. We have a look at an alternative use of tattooing techniques: permanent cosmetics. We also talk about tattoo removal techniques for when things go wrong and you can't live with your tattoo anymore. Celebrity tattoos are part of the reason tattoo art is so popular and mainstream nowadays. Check out the tattoos of Angelina Jolie, Amy Winehouse, Megan Fox, Kat Von D, Justin Timberlake and more. In the Tattoo Gallery you can browse though our selection of tattoo pictures and free tattoo designs to get some inspiration for your next tattoo. Like I told you before, do the research about the tattoo designs you are interested in thoroughly and don't rush choosing one. Good luck finding that perfect tattoo design you can be happy with the rest of your life!